Will the singer become the first Pakistani to circumnavigate the globe? 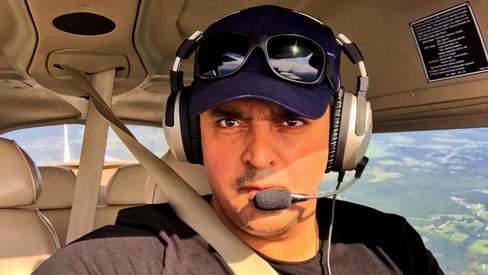 Remember when Fakhre Alam said he wanted to make a solo attempt of flying around the globe? It was back in 2015 when he first talked about his dream and it looks like it's finally close to materialising. Props for persistence! 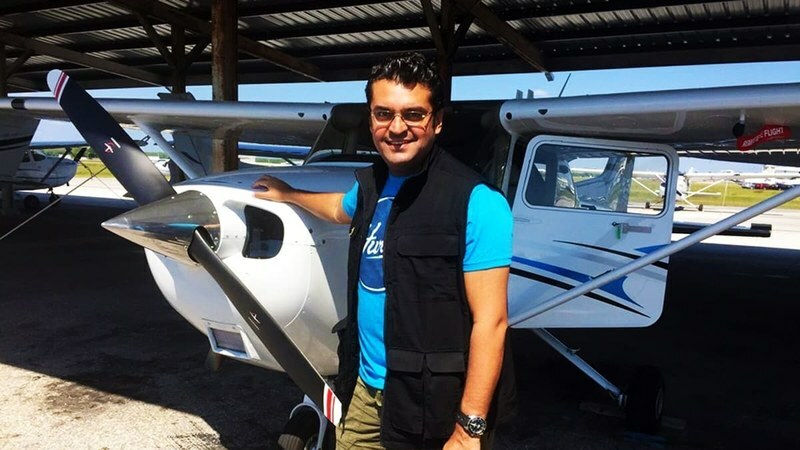 Speaking to Images, Alam talked about his dream, "Three years ago in 2015, after I got my private pilot license in the USA, I went on to get my instrument rating and my twin-engine rating, also from the USA. I'd spoken about how I'm going to circumnavigate the globe and hopefully become the first Pakistani to do so. "It's much more complicated than I had anticipated it to be so the plan just couldn't culminate. At the time I had announced it I had barely 40 hours of flight experience." Alam went to work and did whatever it took to acknowledge and solve all his challenges. "My initial challenges were that I obviously had very little flight experience. I still have a long way to go and that was a real challenge because no one wants to rent out a plane to you and insurance companies see the risks. Also, because this is a global flight, I'll be flying through international airspace and through various air regulations, the complications were a lot to work out. There was a lot of work to be done. I needed to work on getting visas, arrival and landing permits and what not." He added, "I had to work on the preparations as I would be going to different locations and there are so many things to be prepared for. All the safety precautions and spare parts for the plane and also methods to be able to handle extreme weather." But Alam remained resilient, also getting help along the way. "A friend of mine, Kurt, he really came through for me and helped me deal with all the issues." "After three years of hearing "No" and working out every detail, I'm happy to say this is finally happening. I leave Karachi on October 3 for Florida to get my certification renewed and after that, I fly off to circumnavigate the globe on October 6. Pakistan will be in that!" Alam is excited to take everyone on the journey along with him on his site for Mission Parwaaz. But what does circumnavigating the globe mean and what is Fakhre Alam's plan? "I have to do 26000 nautical miles and fly through all the mediums of the planet to achieve circumnavigation. We're aiming for a 28-day schedule. The rules state I have to use the same aircraft and be in control of it at all time. I'll be flying to 30 airports around the world." "The risk is there but the reward and the glory to our flag are far greater and I'm committed to it. I'm grateful to everyone who helped me out, whether they were from USA, UAE or Pakistan, making this happen made me realise what it would be like if the planet was one. Maybe the next step will be intergalactic travel, there are so many possibilities." Best wishes, we hope you will succeed. Wish you all the best FA. Good luck Alam and wish you the best for your solo CN the Globe endeavours. It is also on my bucket list things to do solo around the globe. I hold a private pilots licence since 1998 and have over 2000 hours and I build my own experimental two-seater planes, built and flown 3 to date so far. One day soon Inshallah, Pakistan is also on the list. Appreciations, and all the best wishes. Go ahead. Great going, and best wishes for safe travels. Great resilience & courage , hope u achieve glory.Ameen. It’s too risky , planes are safe but those are commercial planes with lots of extra safety systems & features , more power , and redundancies unknown to smaller General Aviation planes. Wish him good luck. good luck. would have suggested a Cirrus Designs airplane, not an ancient Cessna. will be cheering you on and wishing you all the best! Will be a good news to follow. A positive thing from the usual political rut. Hope he rethink this ,many have tried some with problems , there are far better things to do that are more meaningful! Good luck ,if you must! Good Luck and best wishes to you Fakhre Alam. Have a safe trip around the world. Amazing. Good luck. Prayers for your success. Your success is Pakistans success. Have a website and Gps for us to follow you all the way, every day. Good luck. Circumnavigate North-South and send pictures of South Pole. Good luck to you and wish you to have a safe and pleasant journey. WOW!! Amazing, wish you luck and strength. I hope he returns safely though an effort to fly across the globe can be daring and most challenging. Many have attempted and failed even the experienced ones. He only has few hours of flying time. But if he is going to do it them who will. Hum Sub Milke Proud Pakistani Bane. Go make history and be an inspiration for future Pakistanis! !